Since we received such a great response to our daily posts of "The Interview", the Fifty Shades of Grey Screenplay by Chad from @50ShadesCasting, we are going to give you a special double post today. 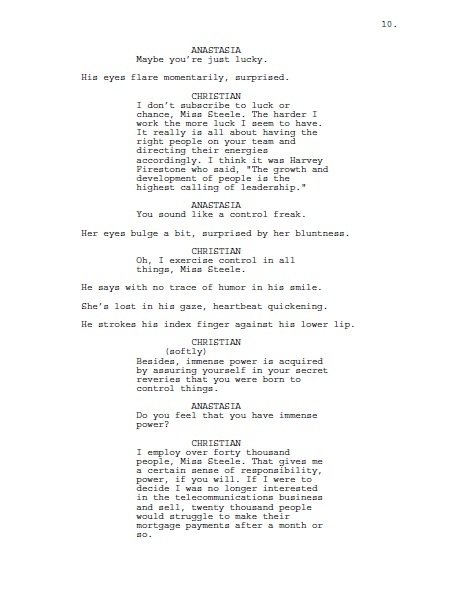 This is not the official screenplay but it is very similar to what the screenplay might look like. 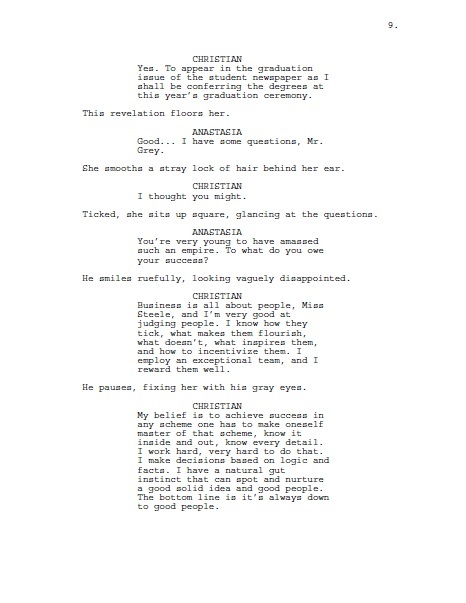 It makes us anxious to find out which actors will be reading a screenplay that just like this. We hope you enjoyed this installment. Follow us on Sulia, Facebook and Twitter @FiftyShadesFilm for updates, alerts and all the Fifty Shades of Grey news and information.